On March 24 at McCaw Hall, Star Chefs will present their annual Rising Star Revue, which features some of Seattle’s most cutting-edge chefs, pastry chefs, mixologists, sommeliers, and restaurateurs. This is a tasting gala for the public – you get to try all their great signature dishes, cocktails, and wine pairings, with tickets starting at just $75 per person. A $125 VIP ticket is also available, and it includes a private pre-event reception with vintage champagne and caviar, and early entrance into the gala itself. Sounds like a can’t-miss event for Seattle’s serious foodies! But the event runs until 9:30, and after that you will most definitely need to walk off some of those gourmet calories. How about a walk to the world-famous Space Needle? Though you’d have to get there before 9 to get in, you can still take a spin around the lawn after-hours. Or visit the Seattle Waterfront, which is great for strolling and people-watching. Or maybe you should just go back to your hotel and sleep off all that culinary excellence, then head back out the next morning to check out this incredible-sounding Underground Tour. Or check out one of my absolute favorite things in Seattle, the Experience Music Project and Science Fiction Museum and Hall of Fame. 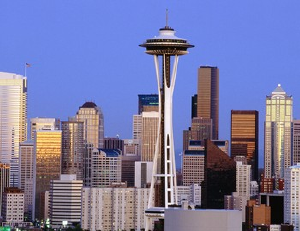 And for even more things to do in Seattle, check out Mary Sanford’s insider’s guide to the city.